It's simple to edit your script after importing it within StudioBinder. For example, you need to make a minor change to a scene setting. There's no need to leave StudioBinder, log into another program, edit the script, then finally re import. 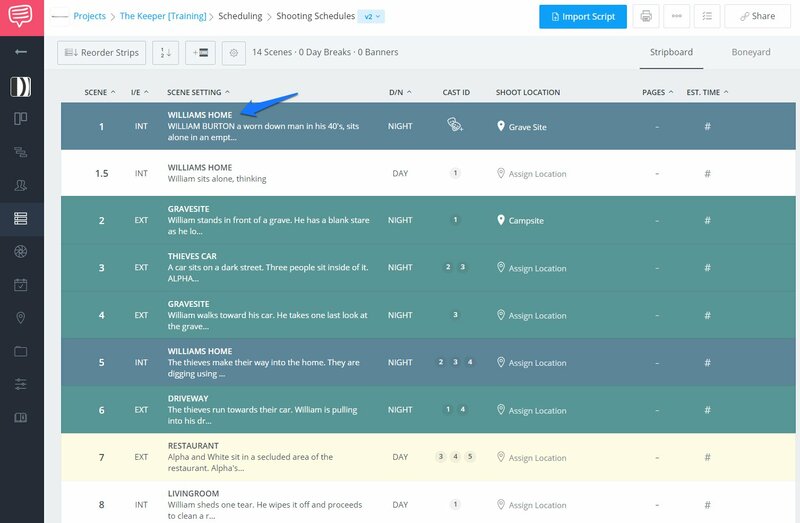 You can make changes right in StudioBinder, saving you time and keeping your project running smoothly. 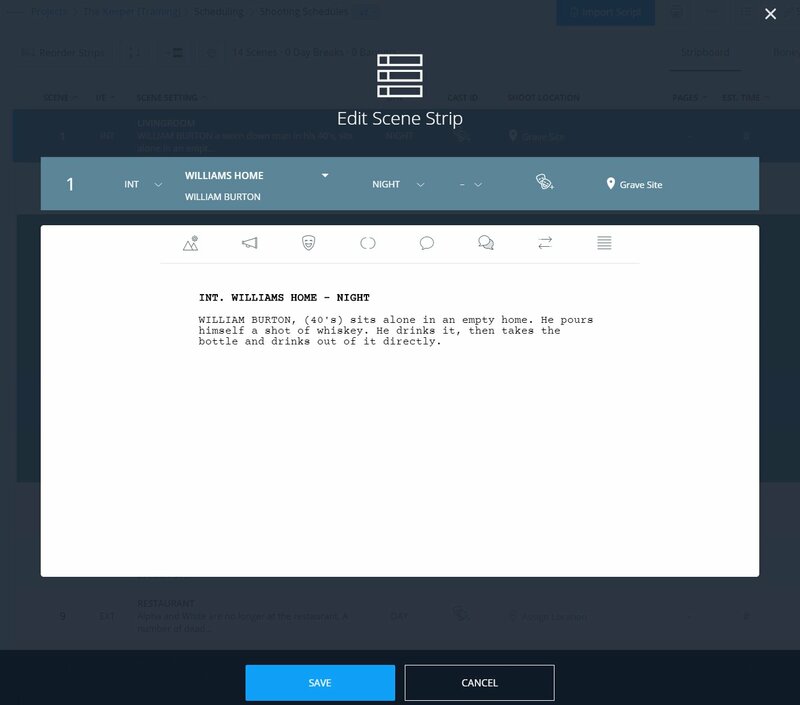 You can edit the script, the scene setting, change D/N, Int/Ext and even add a scene location. Can I download a copy of the edited script? While you are able to download a copy of any script that you imported, you will not be able to download a copy of edited screenplays. Always review your work before making changes. All changes are saved live as you go, and there is no undo option. Note: If you need to make more than a few edits, you can always Import a new draft, and use Sync Screenplay to make updates.